Valkyria Chronicles is a classic strategy game with unique gameplay. For some reason no game has made the effort of recreating and improving upon the game, despite it having the potential for the best strategy game ever. Sega has made horrible business decisions with both the sequels by making them handheld exclusives and never even creating an English port for the 3rd game in the series. The possibility of a PC port for the sequels is near impossible because they would have to create whole new assets for the remastering of the game. Despite the critical acclaim the sequels received, as well as the PC sales from the first title, Valkyria Chronicles 2 or 3 would just be too expensive for Sega to reproduce and make a profit from remastered versions without charging 60 dollars. 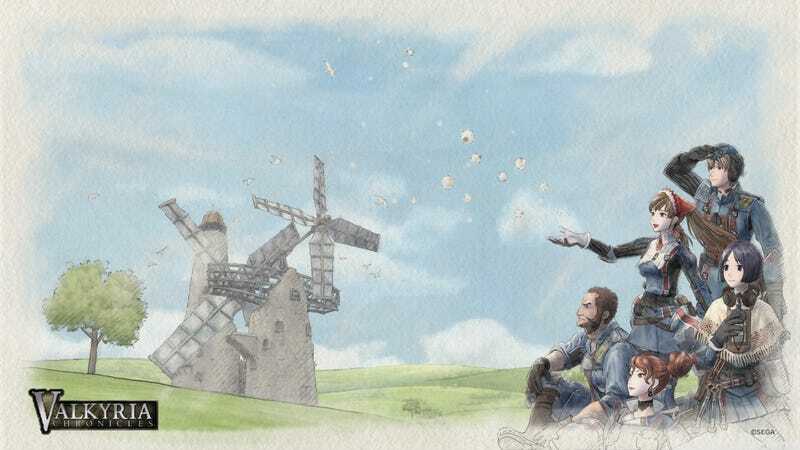 Valkyria chronicles came out for the PS3 in 2008, and was a cult classic as a result of its unique gameplay, enthralling story, and gorgeous water color art style. With the game being re-released on steam in November last year, a lot of interest was revived for the series. Its a shame we’ll never get any game similar to it. Valkyria Chronicles allows the player to control each individual to move each character, but instead of using a grid system like XCOM or Fire Emblem, the game gives free movement to the player. The limiting factor is action points which determine how long the character can move based on their class type. The scout units could move the most but had the lowest damage output, and the lancers (anti tank units) could move the least. Having the units attack is the most interesting part of the game, because instead of RNG, the game works as though you are really firing a gun. The chance of hitting your target and the damage you deal is based on distance and the accuracy of your gun. Because the game is a parallel to WWII, weapons behave like WWII weapons. Semi auto rifles are common, and the weapons that are automatic are very inaccurate, while doing tons of damage. My one true criticism of the gameplay is the way enemy units behave. Whenever an enemy unit is within shooting range of you, they will automatically start shooting you, regardless of whether or not you are moving. You can start playing as a character, then instantly die before you make a move because the enemy automatically starts shooting you. This issue is the number one reason a game should try to copy this style: the problem was solved in other games long ago. XCOM’s overwatch skill is the solution to this. Rather than having an enemy constantly shooting at you, an enemy should not be able to shoot you until they are within range, then they have one chance to shoot at you. This balances the damage you will take, while still giving the player the chance to run behind cover. Even if this is a “realistic” aspect of the game, it is to the detriment of the game’s flow and adds on an extra layer of difficulty to the game. Valkyria Chronicle’s style of gameplay is completely unique to the series, even though its not trademarked. Some small developer or even a 4th Valkyria Chronicles is an easy million dollar idea, because every aspect of the game has already been made before, and just needs to be reproduced. DO YOU HEAR ME GAME DEVELOPERS, GIT ON THIS IDEA, THIS IS AN IDEA I WOULD ACTUALLY KICKSTART.